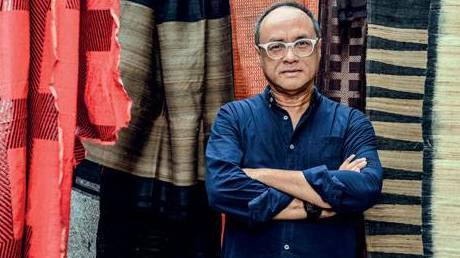 Creative director of ABRAHAM & THAKORE, David Abraham, the Singapore born designer is constantly searching for the simplest way to express complex design ideas. He is focused on conceptualising and reinventing the A & T story each season to keep it contemporary, directional and relevant both in India and internationally, where it is sold in some of the finest stores the world over. His first eponymous collection was launched in Bergdorf Goodman in New York. ABRAHAM & THAKORE is one of India’s most successful and respected design resources for fashion and accessories as well as textile products for the home. This design label was initially established by David Abraham and Rakesh Thakore, graduates of the National Institute of Design, Ahmedabad who were later joined by Kevin Nigli, a design graduate of NIFT New Delhi.